The votes have all been tallied, and three new baseball legends are headed to Cooperstown. Tim Raines, Jeff Bagwell and Ivan "Pudge" Rodriguez have all been voted into the National Baseball Hall of Fame's class of 2017. While Rodriguez got in on the first ballot after receiving 76% of the votes, Vladimir Guerrero (71.7%) fell short of the 75% of votes needed for Hall of Fame enshrinement in his first year of eligibility. Here are the notable players that will become eligible to enter the Hall of Fame over the next five years. 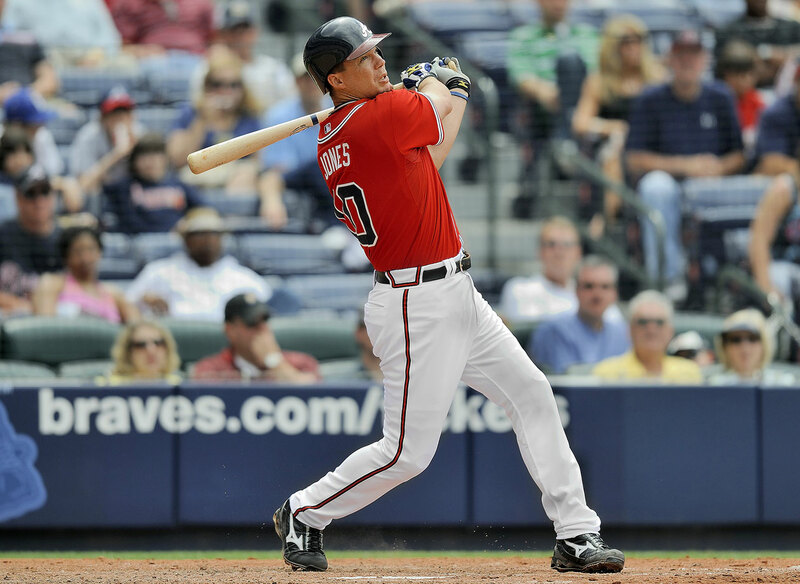 For 19 years Chipper Jones wowed the fans in Atlanta with incredible hitting ability. Jones batted .300 or better 10 times and slugged 468 home runs and 549 doubles, finishing his career with a .930 OPS, eight All-Star Games and the 1999 MVP Award. The five-time All Star hit 612 career home runs—seventh all-time—for the Indians (1991-2002, 2011), Phillies (2003-05, 2012), White Sox (2006-09), Dodgers (2009), Twins (2010-11) and Orioles (2012). Thome spent 22 years in the majors, nine of which he hit over 100 RBIs. The seven-time All-Star is the only third baseman in major league history to get at least 2,000 hits, 500 doubles, 300 homers, 1,200 RBIs and six Gold Glove awards. His eight Gold Gloves rank third-most among third baseman. 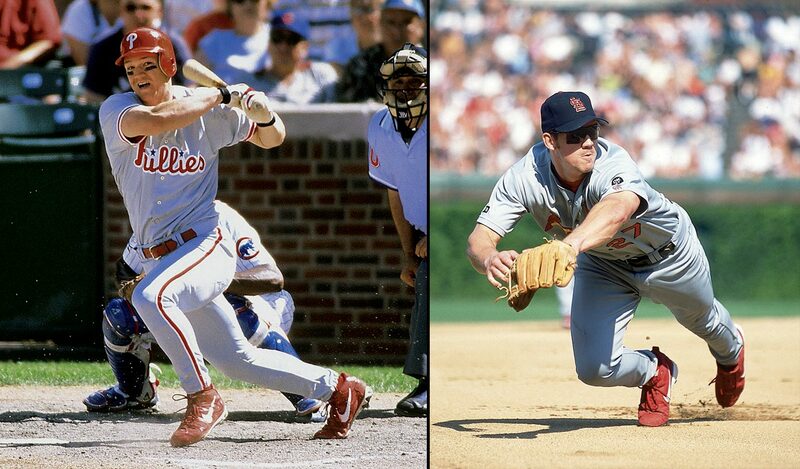 The 1997 NL rookie of the year with the Phillies, Rolen later helped St. Louis reach the World Series in 2004, when he batted .314 with a career-high 34 homers and 124 RBIs. 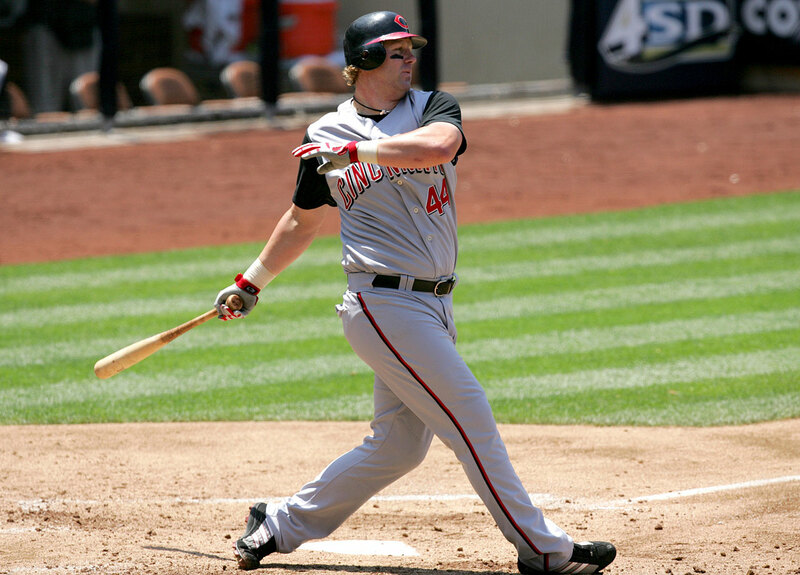 The Cardinals reached the World Series again in 2006, when Rolen batted .296 with 22 homers and 95 RBIs and he hit .421 during the five-game World Series. A tremendous fielder, Omar Vizquel won 11 Gold Gloves at shortstop and posted a .985 career fielding percentage, an all-time best for a shortstop. Vizquel also holds the MLB record for games played and double plays turned at shortstop, and set the mark for most hits by a Venezuelan player. 5 of 25 Walter Iooss Jr. The greatest closer of all-time, with a record 652 saves and five World Series titles, Rivera was named an All-Star 13 times in his 19 year career. Rivera’s 16 seasons with 20 or more saves is a major league record, as are his 15 seasons with 30 saves, his nine seasons with 40 saves (tied with Trevor Hoffman), and his two seasons with 50 saves (tied with Eric Gagné). 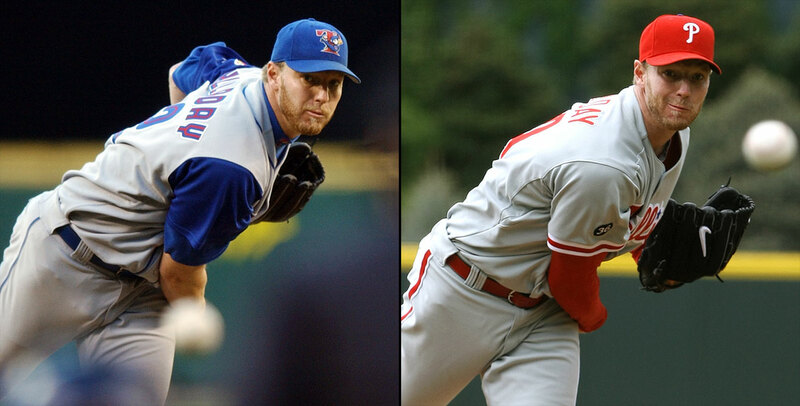 Halladay pitched 16 seasons, 12 with Toronto and four with Philadelphia, winning a Cy Young with each team. 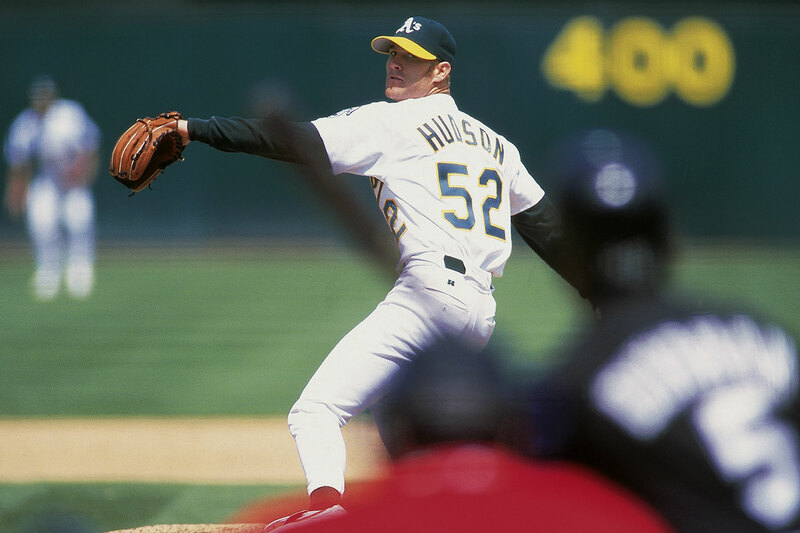 He led his league in complete games seven times (and the majors four times), strikeout-to-walk ratio five times (four times topping all of MLB), and shutouts and innings pitched four times. He made eight All-Star teams and finished in the top five in the Cy Young voting seven times, including six years in a row from 2006 to 2011, winning twice and finishing second two other times. 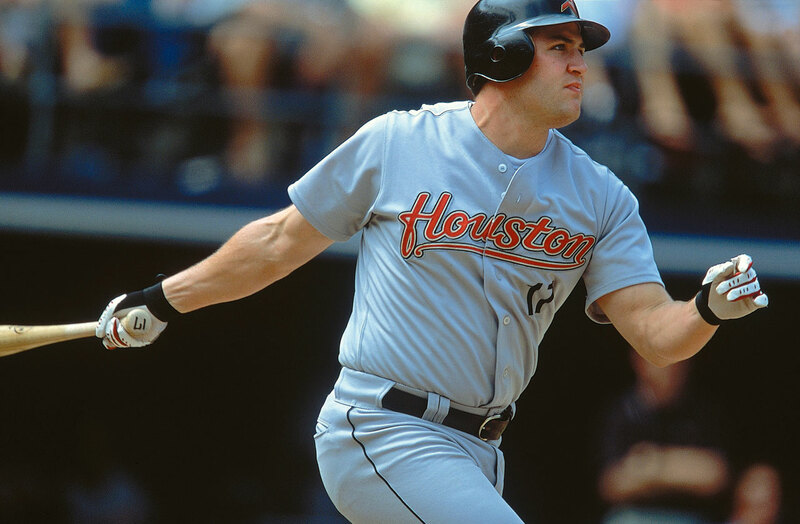 From 2000 through 2009, Berkman hit .300/.413/.559, averaging 31 home runs and 103 RBI, made six All-Star teams and finished in the top five in the National League MVP voting four times. Berkman spent the first 12 years of his 15-year career in Houston, and was a part of the St. Louis Cardinals World Series championship team in 2011. Helton spent his entire 17-year major league career with the Rockies and set franchise records in nearly every offensive category. Helton won the NL batting title with a .372 average in 2000, when he led the league with 59 doubles and 147 RBIs and also hit 42 home runs. The five-time All-Star finished a career .317 hitter with 2,519 hits, 367 homers, 1,397 RBIs, 1,394 runs, a .415 on-base percentage and a .539 slugging percentage. The three-time All-Star won 255 games, including 19 postseason wins, in his 18-year career. Pettitte holds MLB records for postseason wins (19) and starts (44). 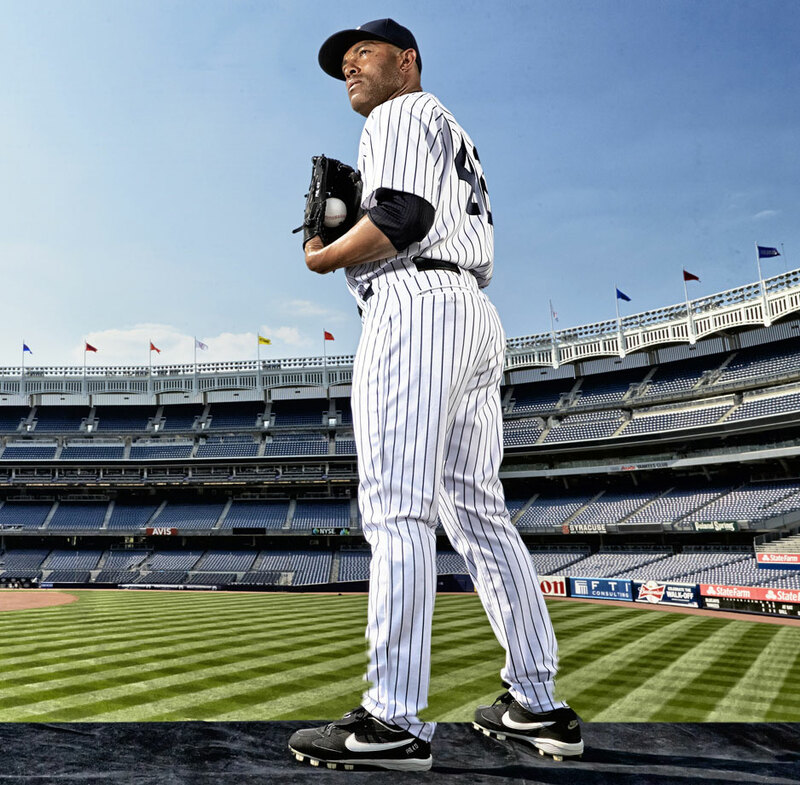 He won five World Series championships with the Yankees and is the franchise leader in career strikeouts with 2,009. 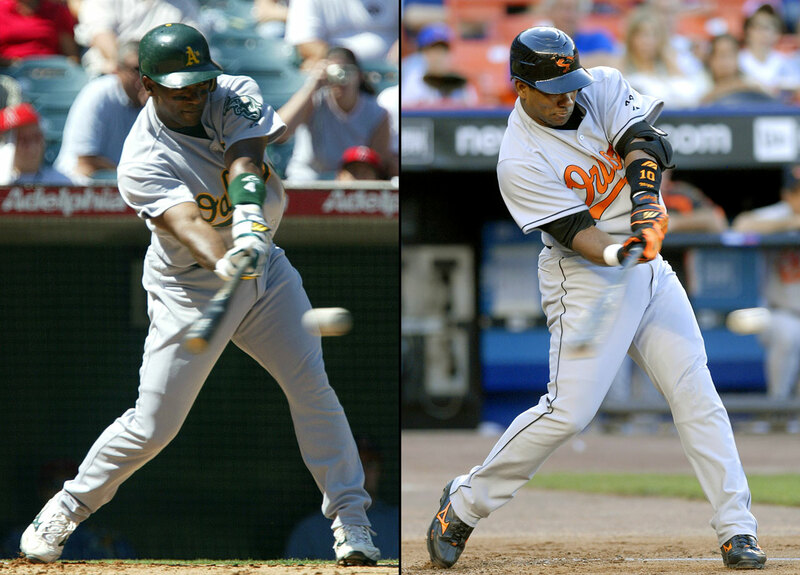 One of the top power-hitting shortstops of his time, Miguel Tejada hit more home runs than all but two shortstops in the Hall of Fame and drove in 150 runs in 2004 en route to an MVP Award. Steroids will cloud his vote because Tejada was named in the Mitchell Report and pled guilty to charges of lying to Congress about performance-enhancing drug use in MLB. 11 of 25 Walter Iooss Jr. The 1996 Rookie of the Year and 14-time All-Star recorded 3,465 hits, scored 1,923 runs and batted .310 during his 20-year career. In 158 career postseason games, Jeter hit .308 with 111 runs scored, 20 home runs and 61 RBI while winning five World Series championships. ''Captain Clutch'' will be remembered as one of the greatest New York Yankees ever and a player who helped usher in a new era of Yankee glory. 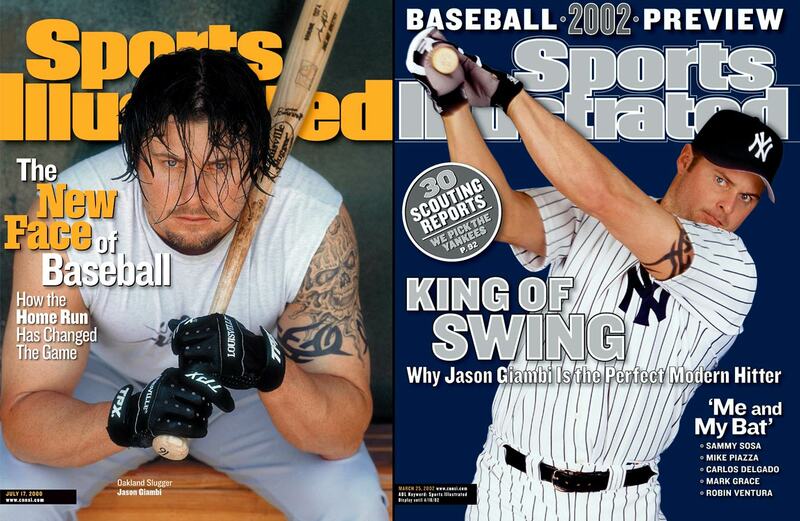 Giambi evolved from a rebellious, rabble-rousing (and steroid-using) superstar in Oakland and New York to a mature veteran bench bat late in his career in Colorado and Cleveland. The slugging first baseman launched 440 home runs and thrice led the American League in on-base percentage, including in 2000, when he won the AL MVP thanks to 43 homers and a .333/.476/.647 slash-line. 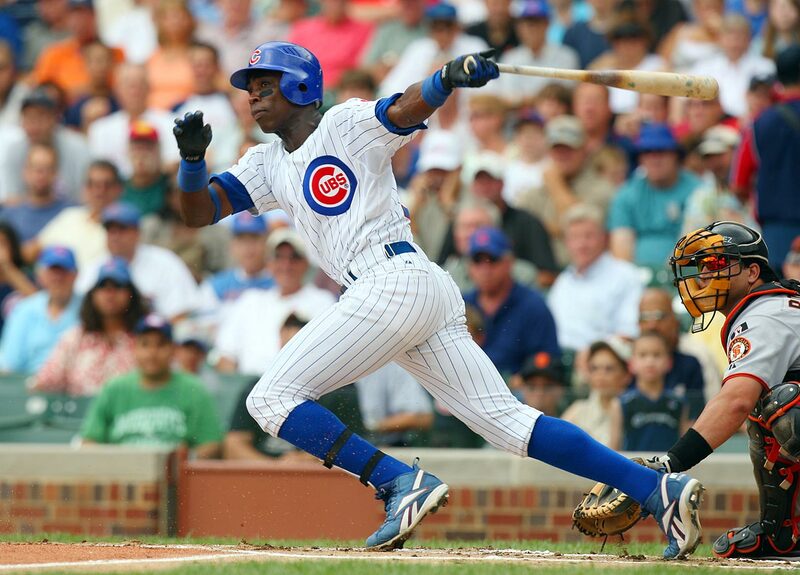 Soriano's 16-year career included seven All-Star appearances, a 40/40 season, and 412 home runs. At his peak, Soriano possessed an elite combination of power and speed thanks to a lithe, muscular frame and quick wrists, prompting numerous comparisons to Hank Aaron. He played a role in the creation of the posting system, was an integral part of one of the greatest World Series of all time, facilitated Alex Rodriguez's arrival in New York, and had arguably the first great season in the history of the Washington Nationals. The longtime White Sox slugger retired at the end of the 2014 season, completing an 18-year major league career, 16 of those spent in Chicago. Team owner Jerry Reinsdorf said "of course" Konerko's jersey will be retired and that the six-time All-Star is "worthy of a statue." He added that Konerko has "always conducted himself with class." 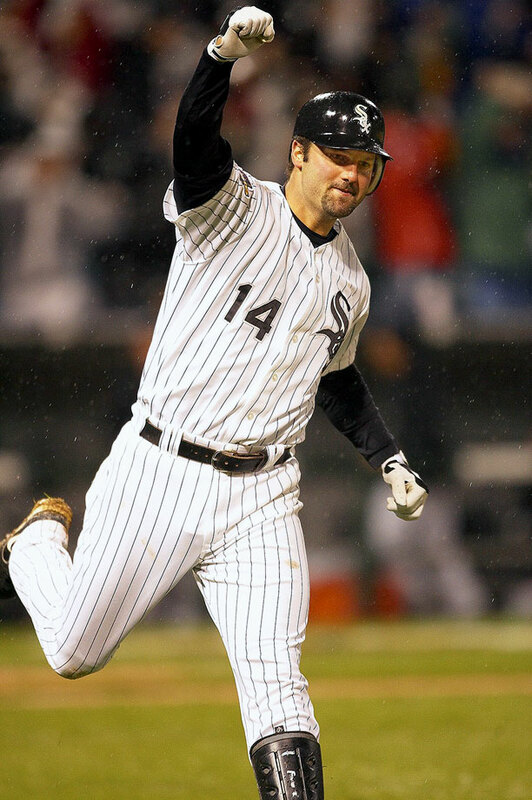 Konerko has 439 career home runs — with all but seven coming for Chicago — 1,412 RBIs and an .841 OPS. 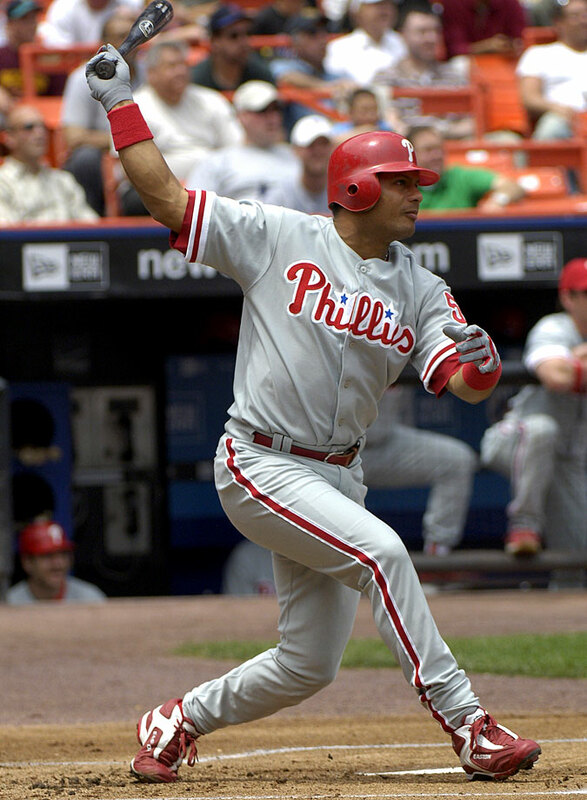 Abreu played 18 seasons, which included stints with the Houston Astros, Philadelphia Phillies, New York Yankees, Los Angeles Angels, Los Angeles Dodgers and New York Mets. 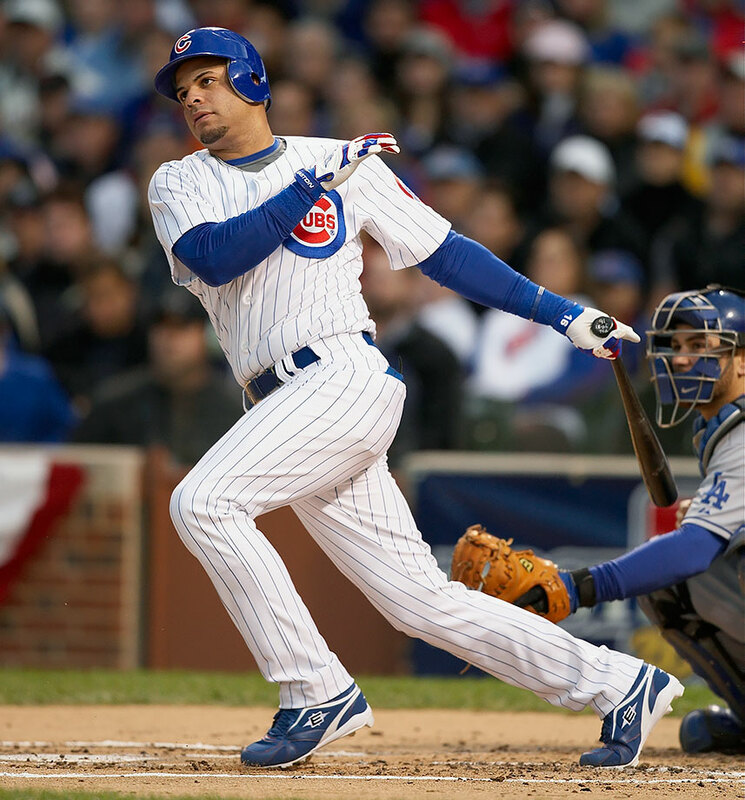 In 2,423 career games, Abreu posted a .291 average, .395 OBP, 2,469 hits 288 home runs, 1,363 RBI and 400 stolen bases. He was named an All-Star in 2004 and 2005. 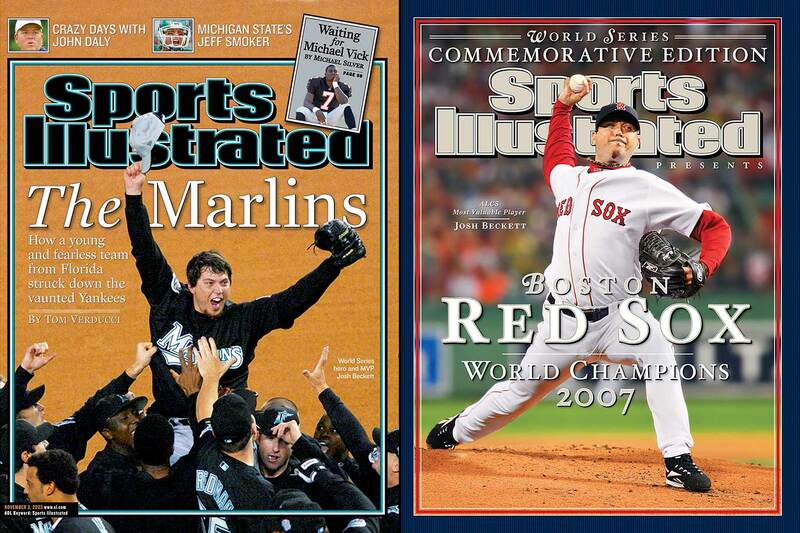 Beckett, a three-time All-Star, won two World Series titles and was the World Series MVP in 2003 with the Florida Marlins after closing out the Yankees in Game 6 on three days rest. He was also was the ALCS MVP in 2007 with the Boston Red Sox, helping that team win a championship. Beckett finished his 14-year career with a 138-106 record, 3.88 ERA and 1,901 strikeouts. Dunn finished his 14-year career (spent mostly with the Reds) as a .237 hitter with a .364 OBP, 462 home runs and 1,168 RBIs. He struck out 2,379 times in 2,001 career regular season games: only Jim Thome and MLB Hall of Famer Reggie Jackson struck out more. Hunter left the game as one of the most decorated outfielders in baseball history, earning nine gold gloves between 2001-2009. Ken Griffey Jr., Al Kaline and Ichiro Suzuki are tied for the most American League gold gloves for an outfielder with 10. Over 2,372 major league games, Hunter compiled a .277 batting average with 353 home runs and 2,452 hits. He was named an All-Star five times. Ramirez hit at least 30 home runs four times and had seven seasons with at least 100 RBIs. A three-time All-Star, Ramirez finshed his 18-year career as a .283 hitter, with 386 home runs. The four-time All-Star has a win-loss record of 222–133 and a 3.49 ERA over the course of his 17-year career. Hudson, who finished in the top five of Cy Young Award voting three times, earned his first World Series ring with the Giants in 2014 after San Francisco beat the Kansas City Royals. 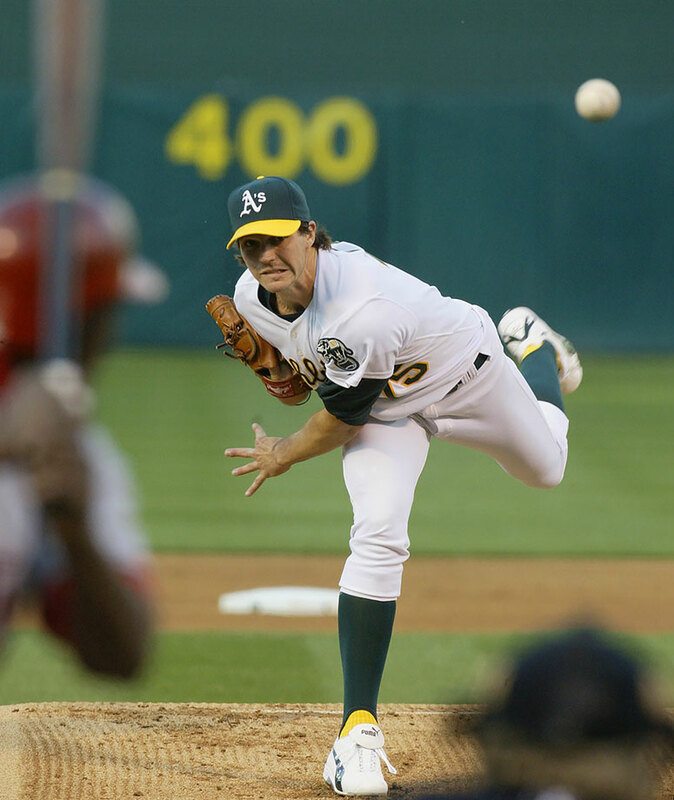 A three-time All-Star and 2002 AL Cy Young Award winner, Zito pitched 15 seasons in the bay area — eight with Oakland and seven with San Francisco. He earned two World Series rings with the Giants (2010 and '12). Zito compiled a 165-143 record and 4.04 ERA. Even given the signs that Bonds and Clemens are on a path to election, it's difficult to imagine that with regards to PED-linked candidates the balance will swing quickly to electing players with actual suspensions. That goes for Alex Rodriguez—with his 3,115 hits, 696 homers, three MVP awards and the year-long suspension in 2014 for his involvement in the Biogenesis scandal. Even with the post-suspension rehabilitation of his image in some quarters, A-Rod will have to wait a long time to get in, at the very least. David Ortiz will have to overcome both a minor PED connection—he was reported as having failed the supposedly anonymous 2003 survey test (as were Manny Ramirez and Alex Rodriguez), though he has always denied taking PEDs—as well as the stigma of spending 88% of his career at designated hitter. Of course, he also has 541 career home runs and a role at the center of the Red Sox's three championships from 2004 to '13, not to mention some great postseason numbers. A three-time All-Star and a five-time Gold Glove Award winner, Mark Teixeira won a World Series with the Yankees in 2009 and retired with 409 career home runs. Teixeira was never the same hitter after turning 30 in April 2010. He hit .295 from 2004 to '09 (his six-year peak), but he would never again post a batting average higher than his .256 mark in '10. He still drew walks, hit for power—averaging 35 home runs per 162 games over his final seven seasons—and played excellent defense, but the sharp drop in batting average sapped his overall production. Fielder earned All-Star honors six times while playing 12 years with the Brewers, Tigers and Rangers. His career line is .283/.382/.506, for a 134 OPS+, and his total of 319 home runs is an exact match for what his father, Cecil, hit in a 13-year major league career from 1985 to ’98. Health issues forced Prince to end his 12-season career at the age of 32. With better luck, Fielder might have had the staying power of David Ortiz, DHing into his 40s and serving as a mentor to younger teammates—followed, perhaps, by a berth in Cooperstown.